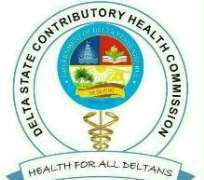 To achieve the Universal Health Coverage, one of the Sustainable Development Goals (SDGs), the Delta State Contributory Health Commission (DSCHC), revealed that it has 350, 000 enrollees in its database, stating that the number keeps increasing as a result of its field personnel who are moving from one community to the other. The Commission Wednesday during a press briefing in Asaba, said the number comprises members of the public sector of the formal sector group, members of the informal sector groups and members of the equity group whose premium are paid for by the state government. The Director-General (DG)/Chief Executive Officer of the commission, Dr Ben Nkechika, hinted that 255 inspected and accredited public primary, secondary and private healthcare facilities provides service under the scheme. He said: “It determined the benefit health package for the scheme and an actuary assessment of the benefit health package that was reviewed by an advisory committee to arrive at the premium of N7, 000/enrollee/year for the informal sector group and 1.75% of gross salary for the formal sector groups with the employer contribution also on behalf of each employee. “Commenced training for healthcare personnel across the 25 LGAs on the technology applications required for implementation of the scheme. In collaboration with the ministry of health, has commenced refurbishment, equipping, personnel recruitment and training of healthcare personnel in all the healthcare facilities accredited for the scheme”. According to him, the DSCHC while representing the state government had signed an MoU with Servier Pharmaceutical of France for its hospital cash cover program that would provide subsidized antihypertensive and diabetics drugs; train 200 medical service delivery personnel in the state on the latest treatment protocol in management of Hypertension and Diabetics. Dr Nkechika, also revealed that the commission is partnering the Bank of Industry and the Pharmaccess foundation for an access to finance program to revitalize 25 defunct healthcare facilities in rural communities leveraging on the private sector capacity and efficiency of service under the Bank of Industry SME program, “the DSCHC also signed an MoU with Interswitch and eClat health to deploy ICT platform for the scheme using interswitch and eClat health software and infrastructure”, he added.